Dash_Becks hat am 17. Apr. eine Bewertung geschrieben. Nanoloop hat am März 2019 eine Bewertung geschrieben. Dear Nanoloop, Sunny greetings from Veligandu Island Resort & Spa. Thank you for taking time to pen this wonderful review. We are delighted that you had a wonderful time during your third visit to our charming island. We are thrilled to read that you particularly enjoyed our excellent cuisine and the improvements we are making on the island. While Veligandu does welcome guests of all ages in selected few rooms on the beach, we certainly aim to maintain the tranquil and enjoyable atmosphere that our guests appreciate. We do appreciate your feedback, as it helps us structure our services so as to ensure customer satisfaction. We look forward to welcoming you back to Veligandu for your fourth visit which you can book through our website. Warm regards, Fathuhulla Ibrahim, General Manager, Veligandu Island Resort & Spa. mangovirgi hat am 14. Apr. eine Bewertung geschrieben. Dear mangovirgi, Sunny greetings from Veligandu Island Resort & Spa. Thank you for sharing your excellent and kind review. 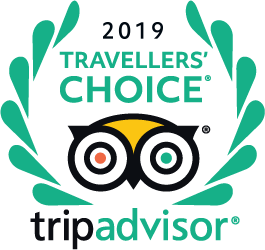 I am thrilled that you had a wonderful time and that you particularly enjoyed our exceptional service throughout the island. I will be sure to pass on your compliments to the team, particularly those you mention by name. We look forward to welcoming you back for another amazing holiday which you can book through our website. Warm regards, Fathuhulla Ibrahim, General Manager, Veligandu Island Resort & Spa. Wanderer25697098604 hat am 11. Apr. eine Bewertung geschrieben. Dear Wanderer25697098604, Sunny greetings from Veligandu Island Resort & Spa. Thank you for sharing this review with us. I am delighted to read that you had a wonderful holiday and enjoyed much of what Veligandu has to offer, from our exceptional service, award winning spa, Jacuzzi water Villas, professional dive centre and so much more. We look forward to welcoming you back for another exceptional holiday that you can book directly through our website. Warm regards, Fathuhulla Ibrahim, General Manager, Veligandu Island Resort & Spa. Josef hat am 10. Apr. eine Bewertung geschrieben. Dear veli21, Sunny greetings from Veligandu Island Resort & Spa. Thank you for sharing this kind review with us. I am delighted to read that you had a wonderful holiday and enjoyed much of what Veligandu has to offer, particularly our exceptional service. We look forward to welcoming you back for another exceptional holiday that you can book directly through our website. Warm regards, Fathuhulla Ibrahim, General Manager, Veligandu Island Resort & Spa. glauer2405 hat am 19. Apr. eine Frage gestellt. bonjour Monsieur, pour les boissons vous avez le choix de toutes les boissons locales sans exception. honnergabi hat am Jän. 2019 eine Frage gestellt. Hallo, ja, ich muss bestätigen, dass das Management die Richtlinien für Kinder geändert hat, leider!!!! Ich kann nur sagen, dass nicht alle Kinder gleich sind, andere laut, andere nicht. Wie diese Änderung der Richtlinien die Buchung und die Bewertungen der Insel beeinflusst, wird nur die Zeit zeigen. slow_1989 hat am Jän. 2019 eine Frage gestellt. Planen evtl. einen Aufenthalt im September. Wie war das Wetter im September?Kann hier jemand seine Erfahrungen teilen?Würdet ihr zu diesem Zeitraum raten? Robin R hat am Feb. 2019 einen Tipp verfasst. "Die Sonnenaufgangseite ist ruhig weil das Flugzeug nicht dort landet"
Kerstin S hat am Nov. 2018 einen Tipp verfasst. "Wasser-Bungalows von 172 bis 155 sowie 123 bis 147 liegen Richtung Sonnenuntergang, jedoch eher windig dort." Sibillie hat am Apr. 2018 einen Tipp verfasst. "Jacuzzi Beach Bungalow, NR 114"
BuHu-on-Tour hat am Apr. 2018 einen Tipp verfasst. "Die Wasserbungalows an der Spitze der Insel waren für uns am schönsten!" mj62016 hat am März 2018 einen Tipp verfasst. "Die Beach-Villa's zum Sonnenaufgang sind die beste Wahl, weil es Immer windig ist und damit nicht zu heiß."